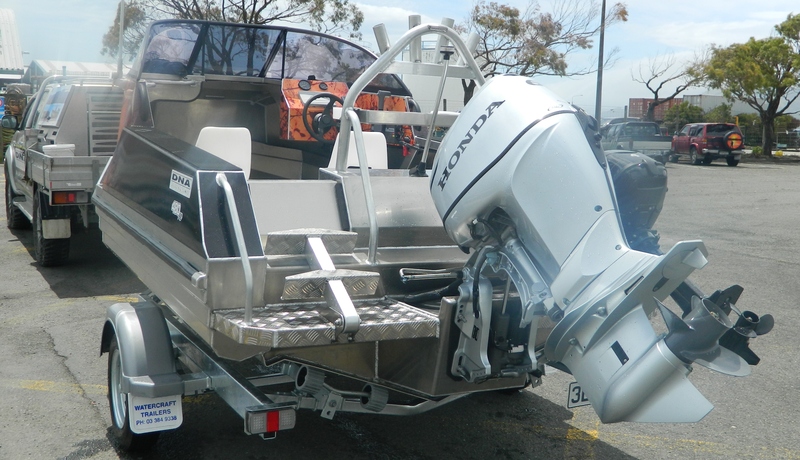 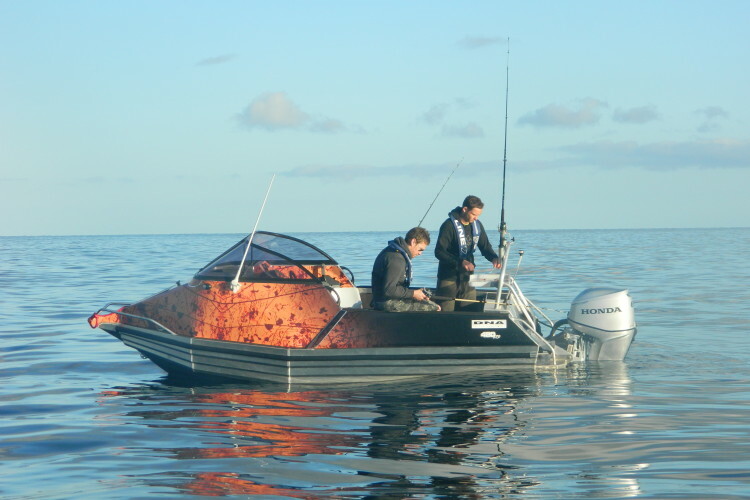 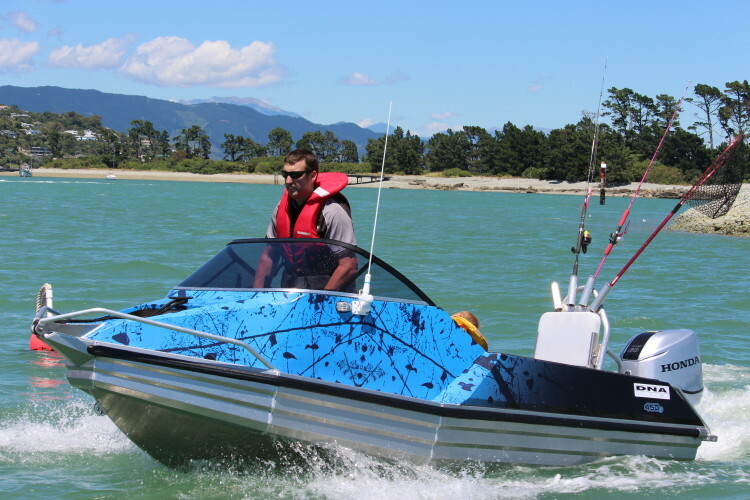 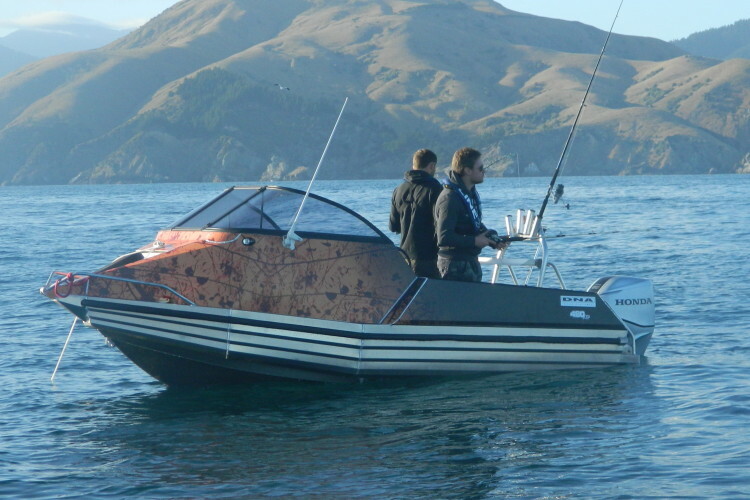 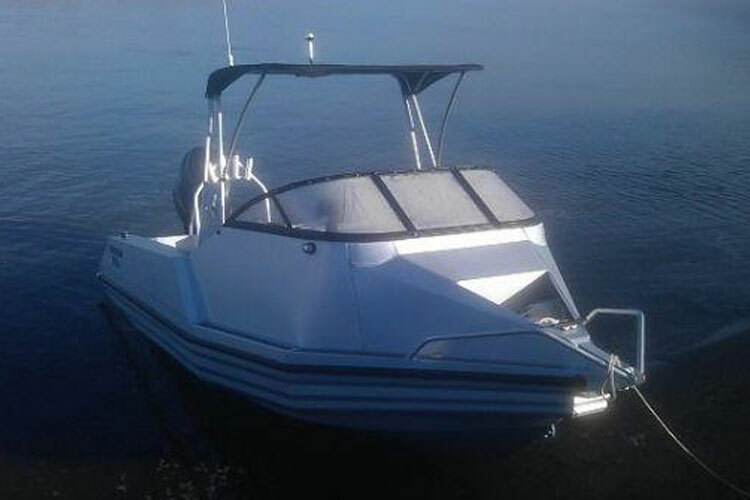 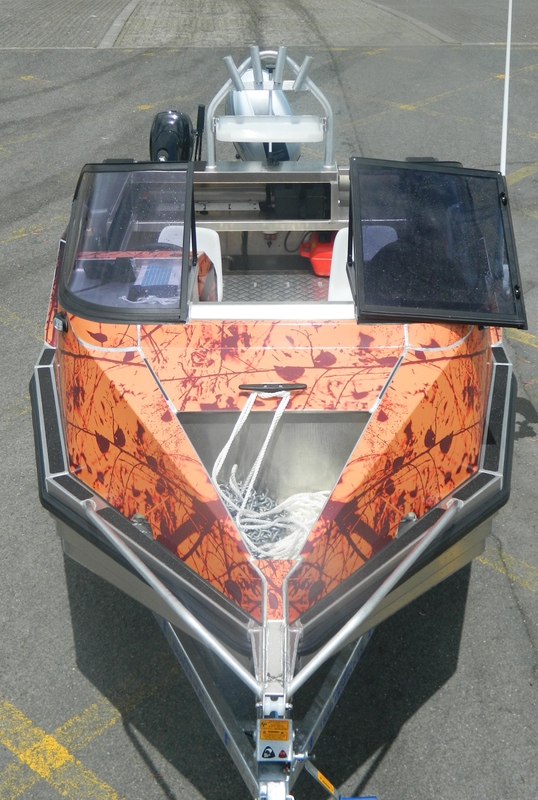 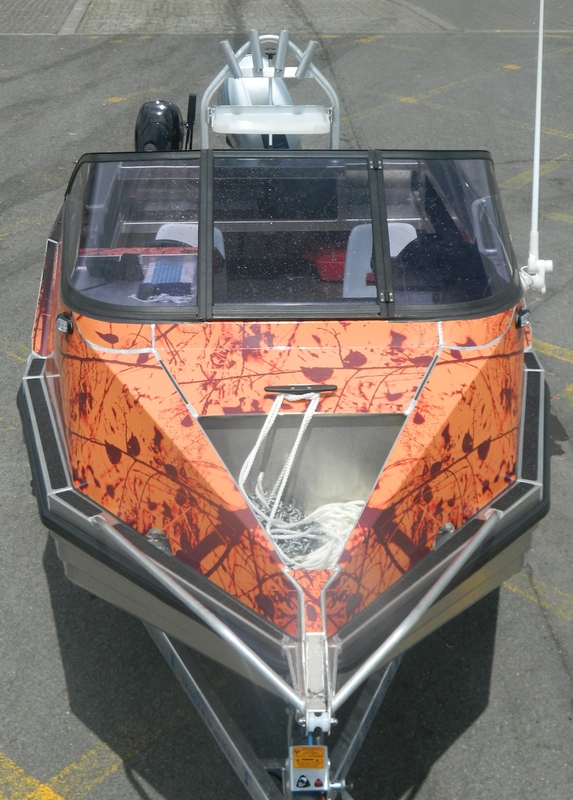 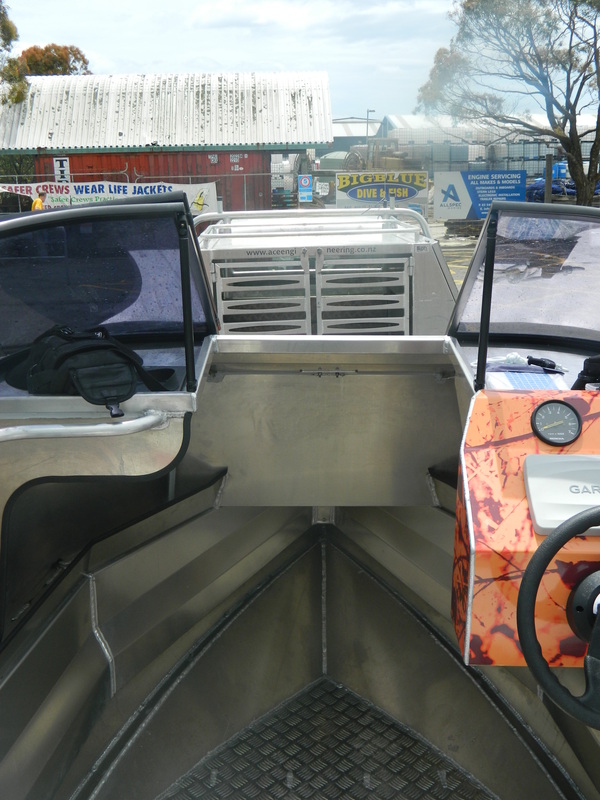 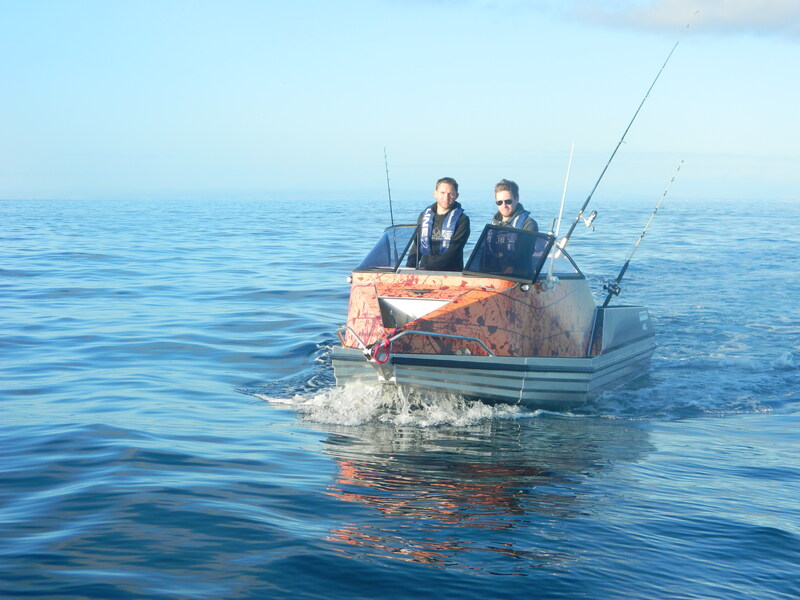 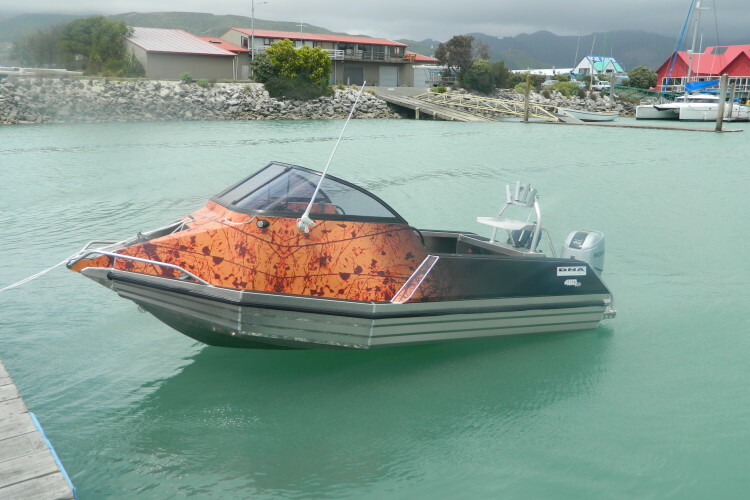 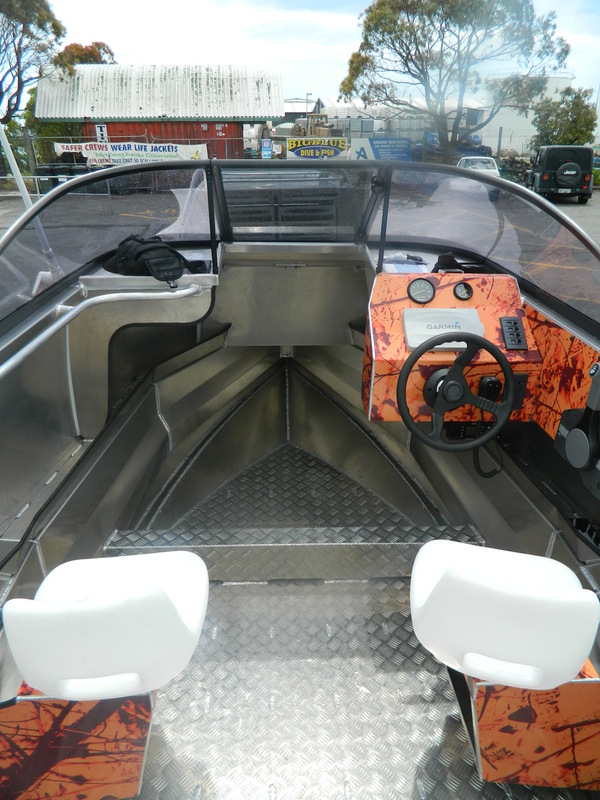 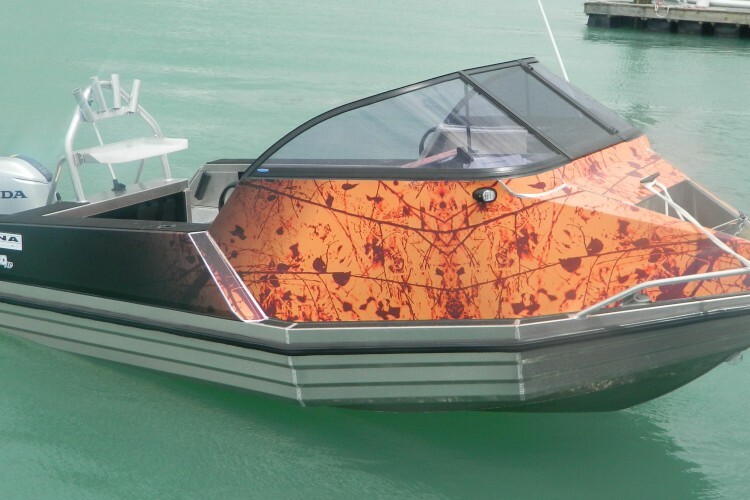 A great all rounder, the 480XC is big enough to fish four adults comfortably and the cabin provides great protection from the elements, a generous amount of dry storage in the bow under the cuddy, seats are on cantilevered pedestals which also have storage incorporated underneath.Transom shelf to house battery and tote tanks tuck neatly underneath if underfloor tank not fitted.Tapering pontoons for that sleek appearance and non pounding ride. 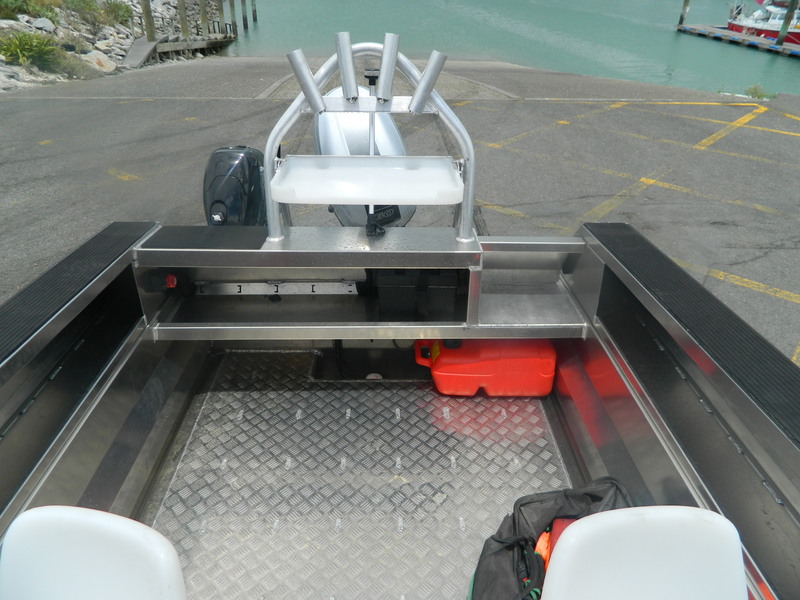 High sides give great protection from spray and provide ample storage around the boat for all types of gear meaning a clutter free deck and more room to fish!!! 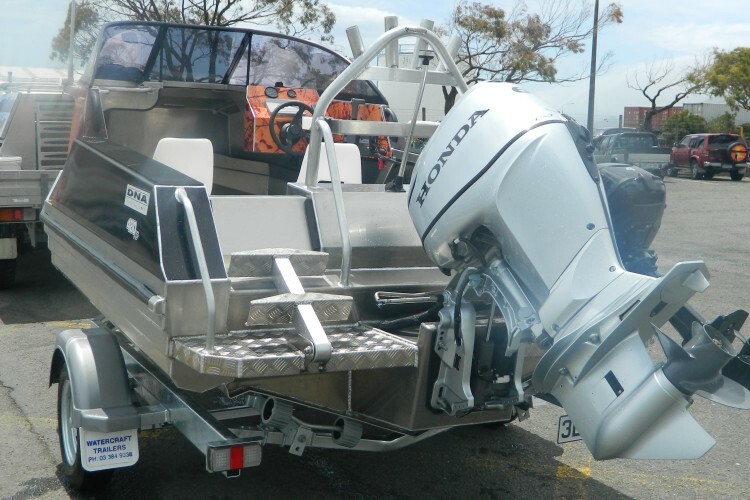 Can be easily handled by one person and beach launching is a breeze. 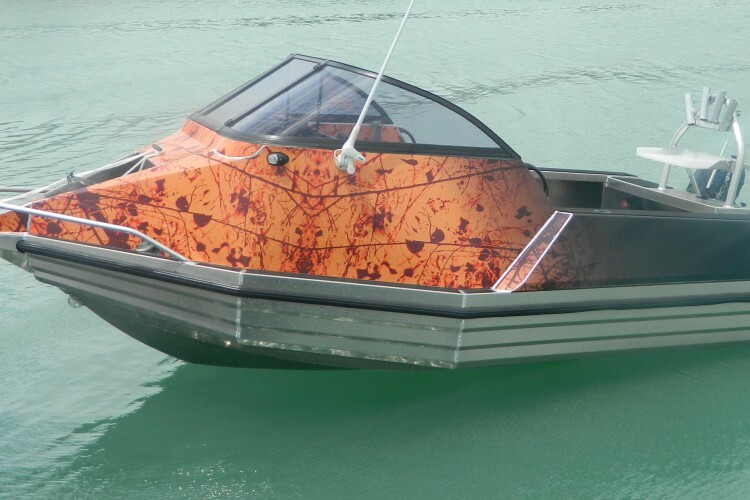 Features a 4mm hull and transom. 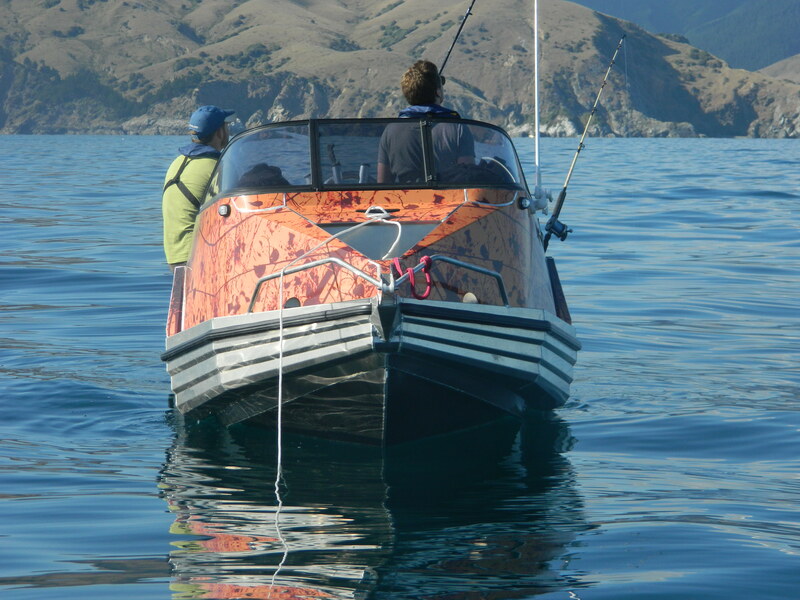 A generous 1.44m internal beam. 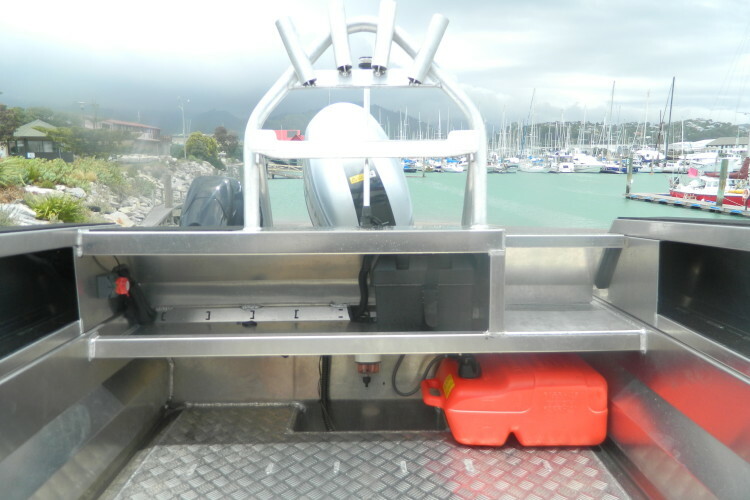 Anchor retrieval via split walk through screen.